Operation occurs on a graphic user interface which is comfortable by means of a touch screen and has an intuitive operator guidance. Input of required parameters concerning material and tools is logically and clearly structured. Considerable safety algorithms help to prevent unintentional mistakes. Daily operations are supported by extensive databases and get along with a minimum of input to define the next job and have the machine ready. 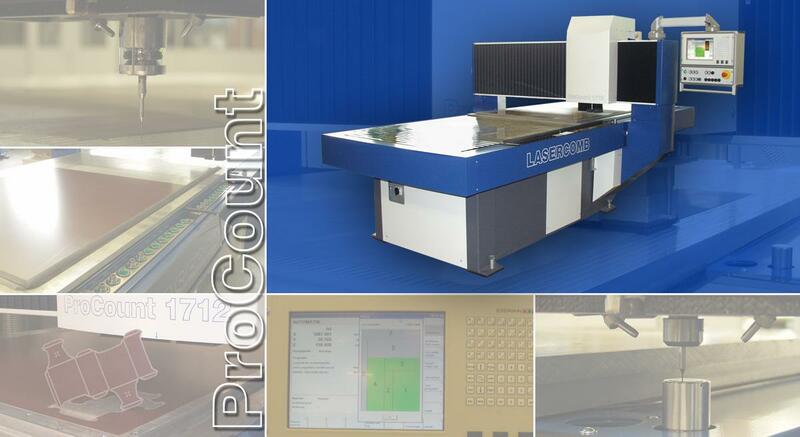 Our ProCount 1712 system can be adjusted for your requests by means of various additions. There for the following options are available. Minimum amount fine mist lubrication system to score optimal lubrication or rather cooling of tools while milling steel counter plates. In the standard model an extraction for dry splinters and dust is employed. In combination with the lubrication system an extraction for moist processing is necessary. Before every application of the tools the probe measures the tool length, so that tool wear gets detected and adjusted. In the standard model a depot with 12 tool places is installed. Optionally, this can be extended up to 24 tool places. 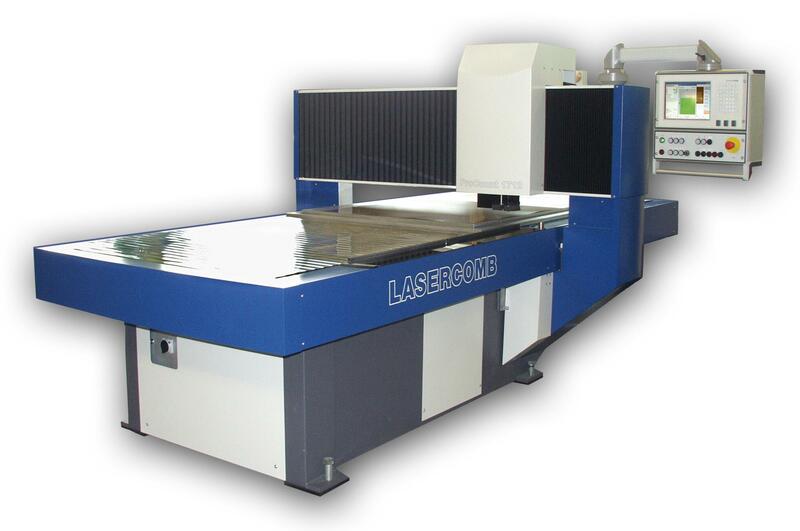 A machine equipped with this sensor head is able to measure dies with cutting and creasing rules inside on exact positions of creases. Also, it is able to measure channel depth. Sensor heads with different shapes and diameter make adjustments for various tasks possible. The results will be recorded as a measurement report in one file and can be retrieved or printed.